Experience Music as a Normal Part of Life? If these are YOUR questions, congratulations! Your kids’ lives are going to be enriched as you find answers. 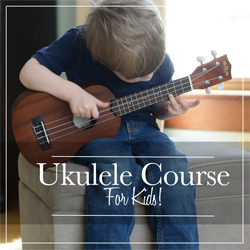 What follows is my experience in how to make music so central to a family’s everyday experience, that children will find delight in this life-enriching subject. Years ago, I met a phenomenal guitar player named John Standefer. For several years, we were in a partnership that produced books and CDs combining American folk music and American history. One day, John started telling me about how he got his start in music. John’s story is one of the most delightful examples I’ve ever heard of what happens when a child experiences music as a normal part of life. . . Hearing this story when my children were young inspired me. We did music in a way that was not artificial, or “school-ish”, but as part of our every day life. Time in the car was great for singing and listening to music. We listened to different styles of music and constantly sang various styles of songs. Rounds like “Row, row, row your boat” develops a child’s ear for harmonies, so we often sang them. This led eventually to really gorgeous tunes, like “Dona nobis pacem,” and hysterical ones such as “My dame had a lame tame crane.” We also found folk songs, like “The Erie Canal” and “Tis the Bean,” to be pretty easy and often quite funny, so American folk tunes became a staple. We also sang hymns like “Amazing Grace“, which lent themselves well to vocal improvisation and rich harmonies. My children were receiving “musical instruction” throughout their lives, but it felt like music among us was done for the sheer joy of it. To help you make this come to life for YOUR family, we offer three book/music CD sets combining American history and American folk music. A new sense of fun when it comes to studying American history, because you have engaging songs to sing with each period—songs that are part of our American heritage. It’s all a part of Experience History Through Music! With extraordinary musicians like John Standefer, this is the BEST folk music you have ever heard, combined with fascinating stories behind the songs—a fresh new look at American history that is engaging, creative, and FUN! 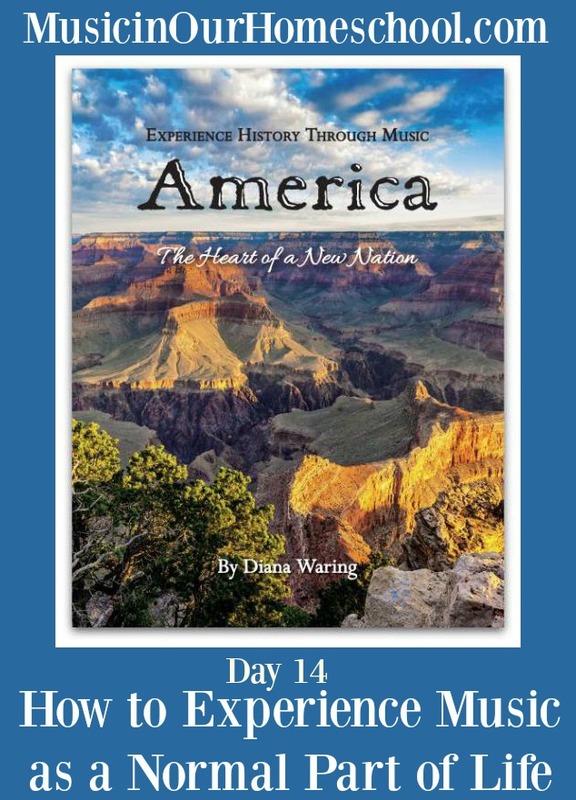 *Enter to win Experience History Through Music: America book and CD set at the Music in Our Homeschool Website Launch Giveaway. * Read Gena Mayo’s review of the products at I Choose Joy!. About Diana Waring: A pioneer in homeschooling, Diana Waring cares about how and what people learn. Not only is she an international speaker (4 continents and counting! ), she is the author of the Experience History Through Music series and the History Revealed curriculum series. Follow her witty and practical blog at dianawaring.com/blog, check out her fast-paced, God-honoring, sit-on-the-edge-of-your-seat-in-suspense world history products, and discover America’s fascinating history as seen through folk music . 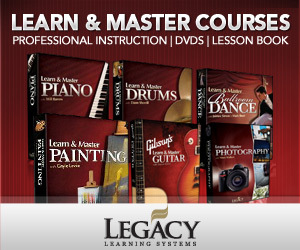 Learning has NEVER been this fun! Filed Under: Tips Tagged With: America, Diana Waring, Experience History through Music, folk music, Musical Memories of Laura Ingalls Wilder, Westward Ho!